The surviving members of the Norwegian black metal act URGEHAL are recording the band's final album in honor of the group's guitarist/vocalist Trond "Trondr Nefas" Bråthen, who passed away in May 2012 at the age of 35. 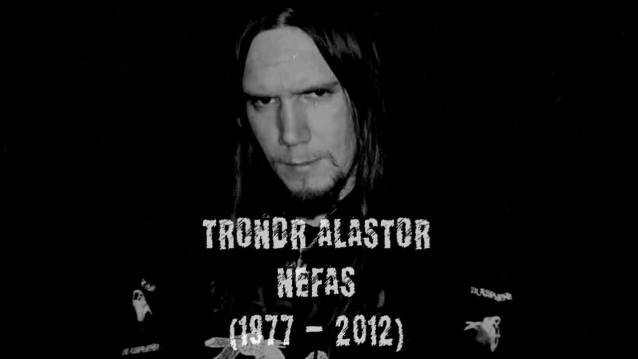 Commented the band: "Trondr Nefas left us all in May 2012. For URGEHAL, this meant the loss of our great friend and brother in arms. Therefore it is a very special announcement for us remaining members to tell you that the final URGEHAL album is now being recorded. We have decided to finish this last album in honour of our dear friend and to mark the end of URGEHAL. "Trondr was looking much forward to enter the studio once again and we had already done all demo recordings for the whole album before his death. Nothing else remains to be done but to finish what Trondr and we had already started together. We owe this to him and his memory. "Drums and guitars were recorded earlier this year and in October we entered the studio for the first vocal session of many. The songs will be sung by several close friends of Trondr Nefas and the band. We will reveal those names in due time."